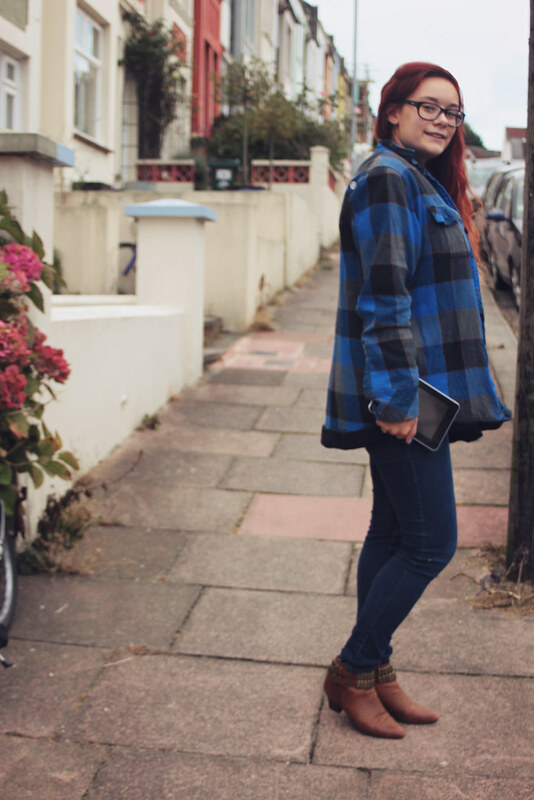 Today's post is a 'what I wore to uni' post, which is funny considering its a Sunday as I write this, but I always take photos and take at least 3 days to blog them- sorry! But this is one of those outfits that, on the face of it, is super simple. 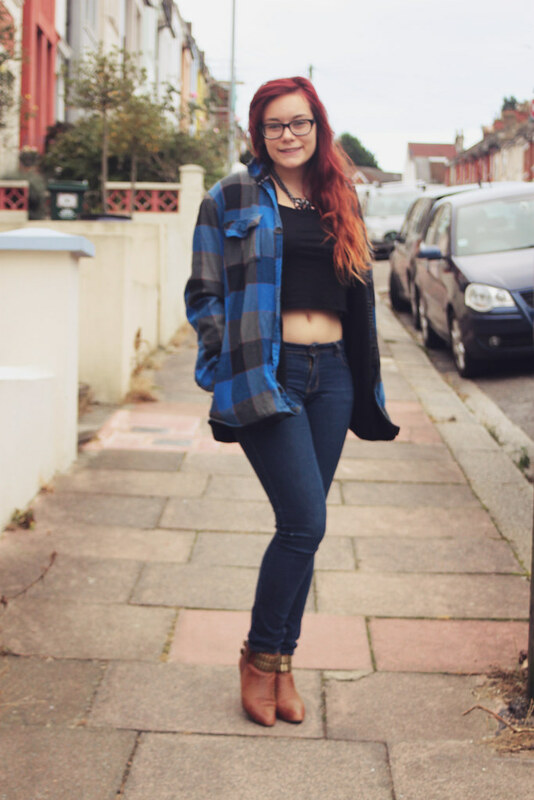 Jeans, tee, jacket and boots, but a few key pieces add a bit of the- 'oh hey she put some thought into her outfit' factor. For me its the boots and necklace which give this outfit its punch, they are my new favourite things. Especially my Jeffrey Campbell boots, once you go JC you ain't going back! I also wanted to talk about my latest gadget thats been attached to my hip since I received it. Step in the student budget friendly Acer Iconia B1-710- 7 inch tablet. At just £99 reduced from £149.99 its a great partner for every college or uni student. Mine is perfect for taking notes during lectures, reading PDFs on and downloading powerpoints and word documents onto. As its a android machine, I have been able to put my favourite uni apps on to it, including the Microsoft suite! Its been so handy that I recommended it to my younger sister, currently doing her A Levels and he went out and purchased one for herself. 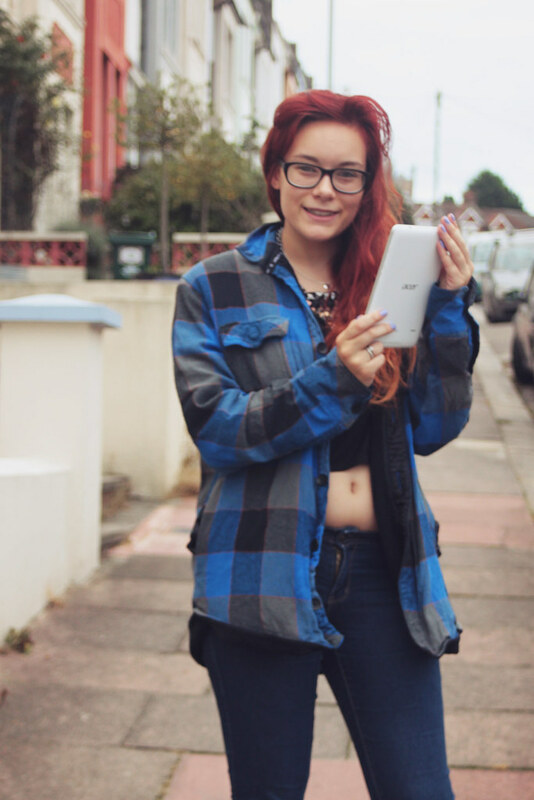 Of course, this is me we are talking about, so I also use my Acer Tablet from Argos to blog with the blogger app, watch netflix and of course, instagram! The tablet has a handy front camera, great for skyping and insta selfies, a nice 7 inch screen which I find to be just right for viewing purposes whilst not being too heavy or large to easily pop in my backpack and take to uni. Me and my tablet? We are best friends.